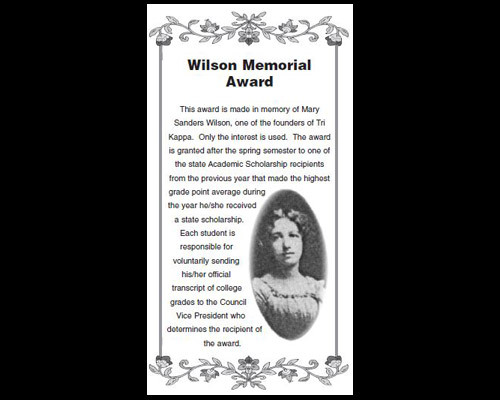 Wilson Award is established | Kappa Kappa Kappa, Inc. The Wilson Award is established to recognize the Academic Scholarship recipient who maintains the highest scholastic record during the year that the scholarship award is paid. This award was made possible by Elizabeth Wilson who gave two monetary gifts in memory of her mother, Mary Sanders Wilson, one of our founders.